It is situated about a kilometre away from Chandi Hill, Navagraha Temples are also situated here. 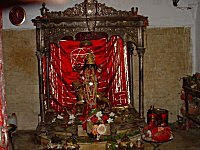 Idols of Lord Shiva & Mother Parvati, Ganesh & Lakshmi - Narayan have been installed here. It was constructed by Late Ramapada Bandopadhyay (Hoogly, W.B.) 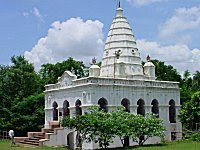 in 1911 A.D.
On the way to this temple a Kali Temple was established by Late Fakir Chandra Chatterjee.